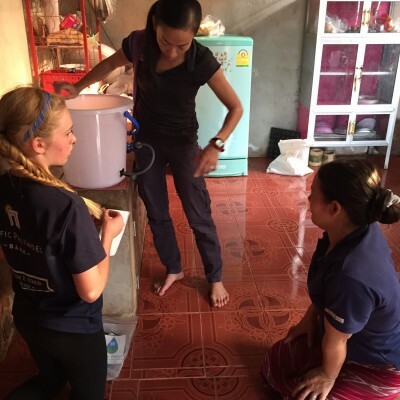 During Spring Break Evan traveled to Huay Kapoot, Thailand. 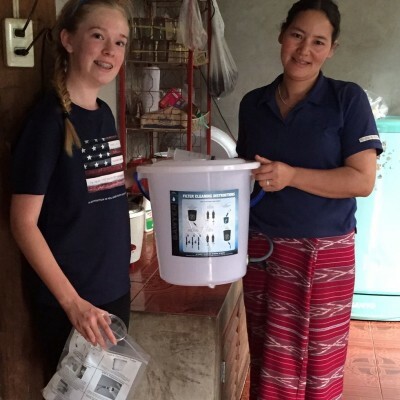 She delivered one filter to her host family in Huay Pakoot, Thailand, and three filters to another village in the area. The filters will provide clean drinking water for up to 400 people for up to five years. 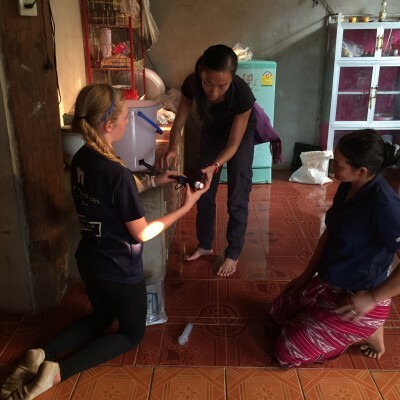 Thanks to the Clean Water Ambassadors Foundation, I was able to deliver 1 water filter to a small, rural village in Thailand called Huay Pakoot. In a village nearby, there had recently been a fire that destroyed everything they had. 3 filters went to that village to help them get back on their feet. In the village, they already had clean sources of water and piping, but it frequently went out and was very inconsistent. In the dry season especially, it gets extremely hot and dry and there becomes a strong need of water. I gave the filter to my host family. They were very grateful to be able to use it for their children and animals. They also shared it with other people around the neighborhood. This was a very tight knit community, where they all worked together to make their culture function well. They helped each other out and gave graciously. I was so honored to be a part of this giving. I know how much they appreciated the gift of consistent clean water.